This is a very tasty salad that is quick to prepare. The cranberries give it a little extra taste and texture boost, and the addition of these was Mum’s invention. We have found that this salad combines very well with left over roast vegetables. 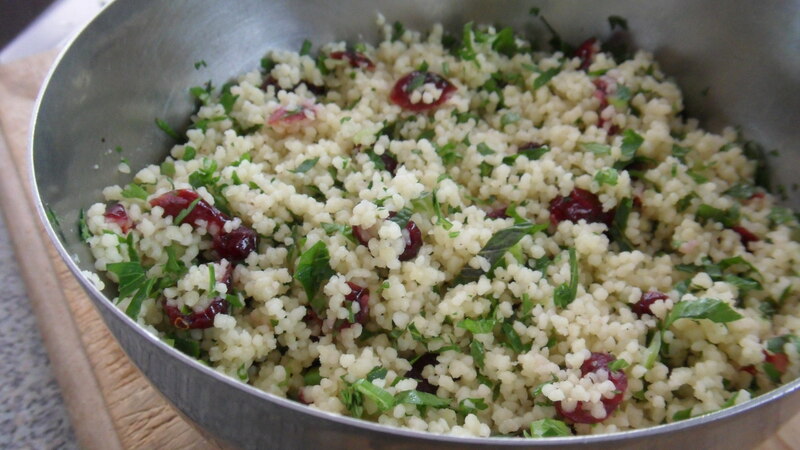 The ingredients and preparation are very similar to a tabouleh salad, with the mint, parsley, lemon juice, olive oil, but this uses couscous instead of bulghur wheat, which makes it a very light salad. Dissolve half a stock cube in hot water. Add couscous to a bowl, pour in the stock cube and water, then cover couscous with boiled water until the level is just above the couscous. Leave covered. Finely chop fresh mint, parsley, and spring onion. 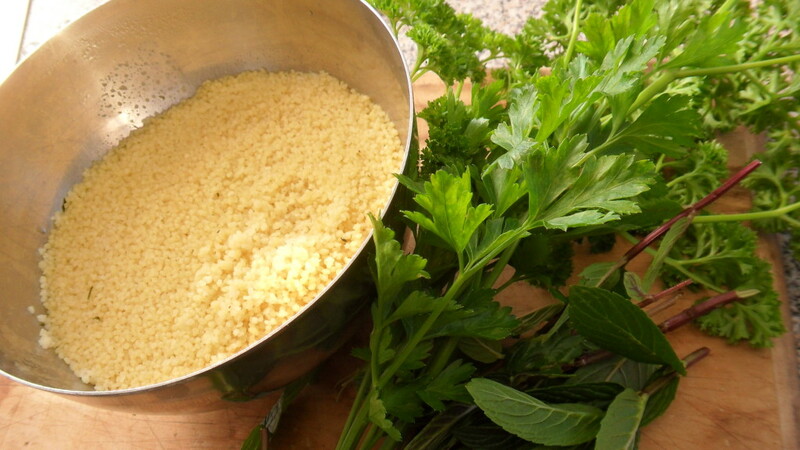 When the couscous has soaked up all the water and has cooled, add these to the bowl. Then add a squeeze of lemon juice, a drizzle of olive oil, pepper and salt. Soak the dried cranberries in hot water to soften. Then drain of excess liquid and add to couscous.